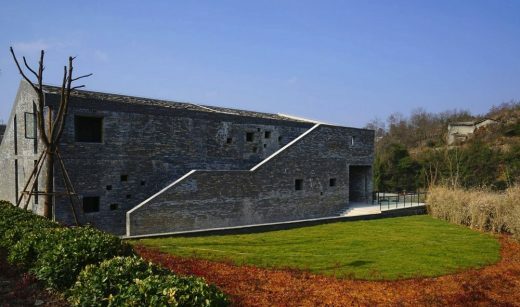 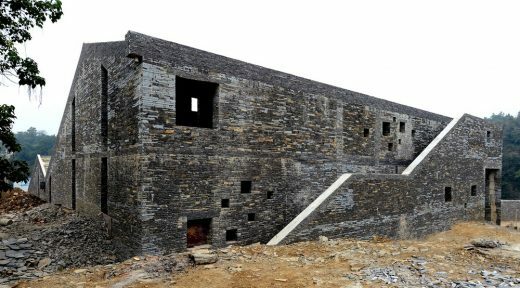 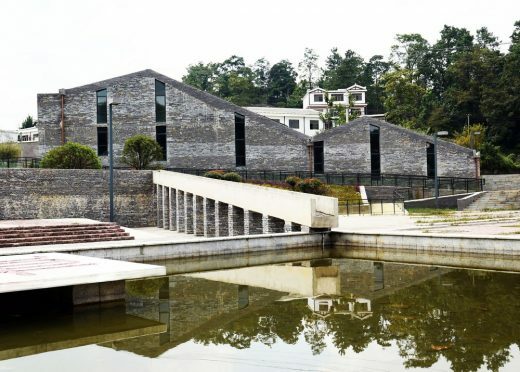 The cultural center is located in the rural Chetian Village (车田村), 30km from Guiyang, the capital of Guizhou province, in South-West China. 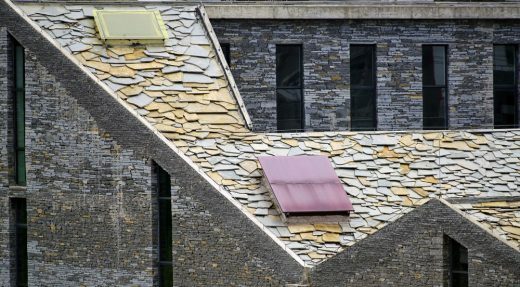 The village has more than 400 years of history and is famous for its ‘stone houses’ built with local materials. 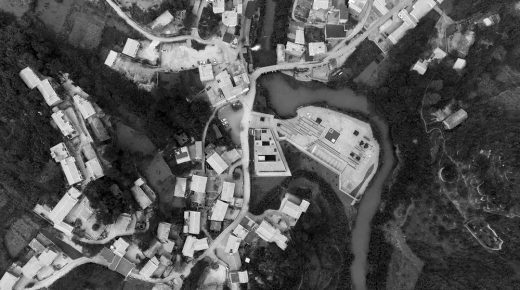 41 families, out of the 207 living in the village, belong to the Miao (苗) ethnic minority, one of the oldest minority groups in China, most of whom live in Guizhou province. 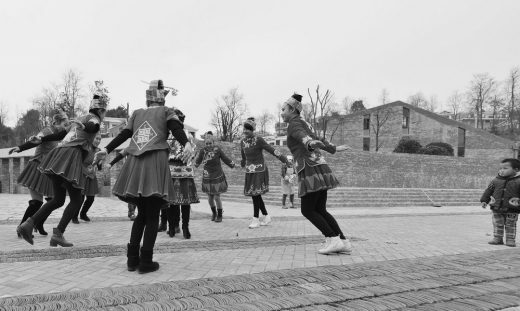 The square outside the cultural center, surrounded by the river, is often used as a stage for local Miao dance and drama performances. 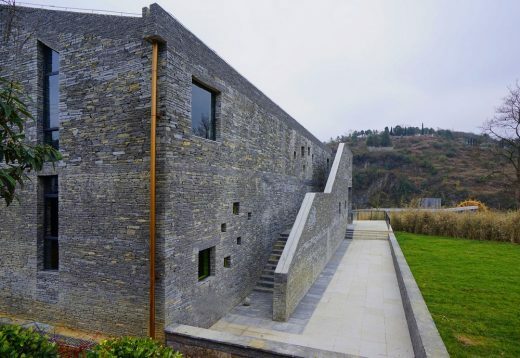 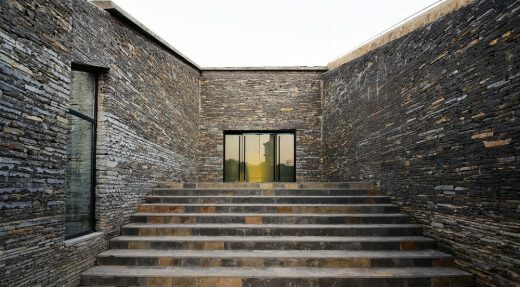 The architecture of the cultural center is strongly characterized by 40cm thick walls, built according to the local traditional methods, using the stone coming from the village’s pit. 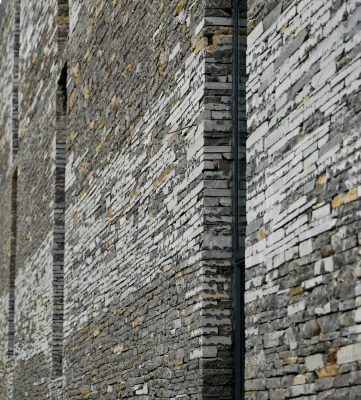 The stone has a very unique blue shade, which is why it is commonly called ‘blue stone’. 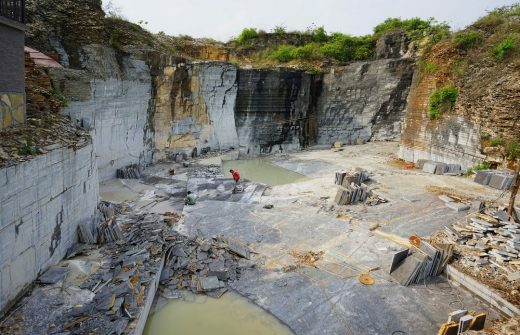 It comes from sedimentary rocks and its major components are limestone and dolomite. 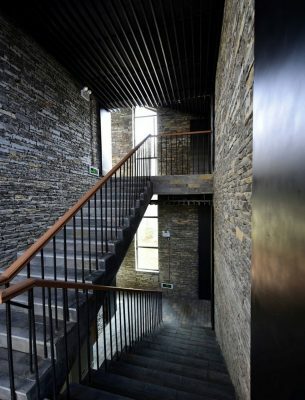 The strong and obsessive presence of the stone creates an intimate interior space and shows the architects’ deep respect for the historical masonry traditions of Chetian Village. 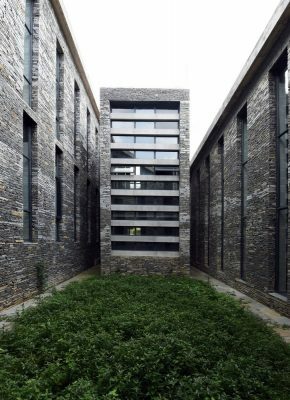 West-line Studio 西线工作室 is based in Guiyang, Guizhou province, in South-West China, and exclusively works in this region. 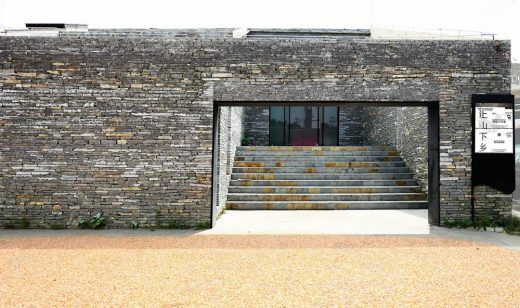 The practice was founded more than 10 years ago and has always been researching and working on contemporary vernacular architecture around the Karst geomorphologic area and local subcultures’ diversity.